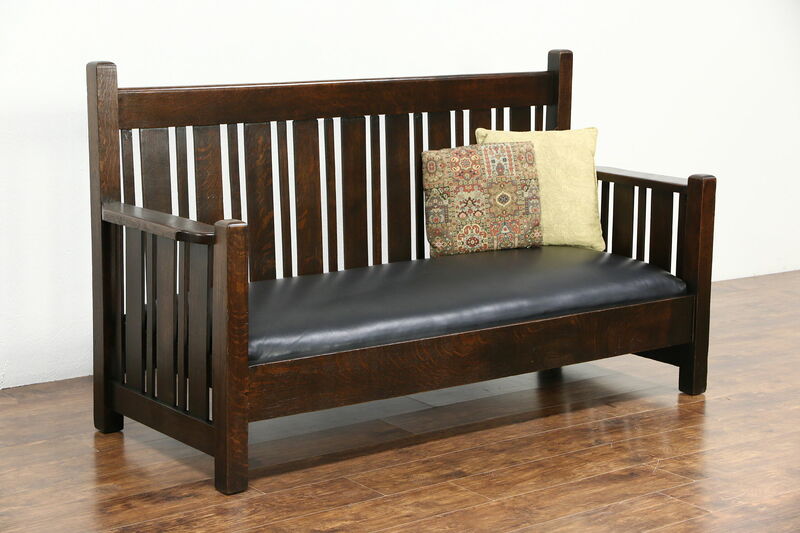 From the Arts and Crafts or Mission Oak period about 1905, this sofa, bench or settee has leather upholstery with a few scratches, see photos. Solid quarter sawn oak, the rugged frame has an excellent deep restored finish. American made antique Craftsman furniture, this is large and well proportioned. Measurements are 77" long, 30" deep, 42 1/2" tall and the comfortable seat is 17" high.